CSA Digivice 1999 Details, Images, and Pre-Orders! Thread: CSA Digivice 1999 Details, Images, and Pre-Orders! This time we get surprised with an all new CSA Digivice! 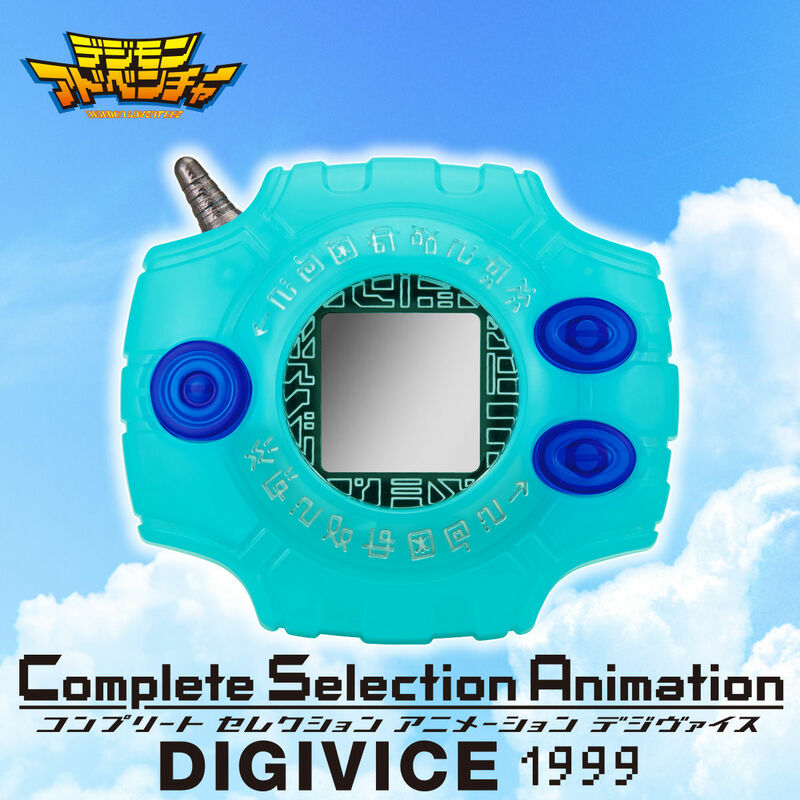 The Complete Selection Animation Digivice 1999 from Digimon Adventure! 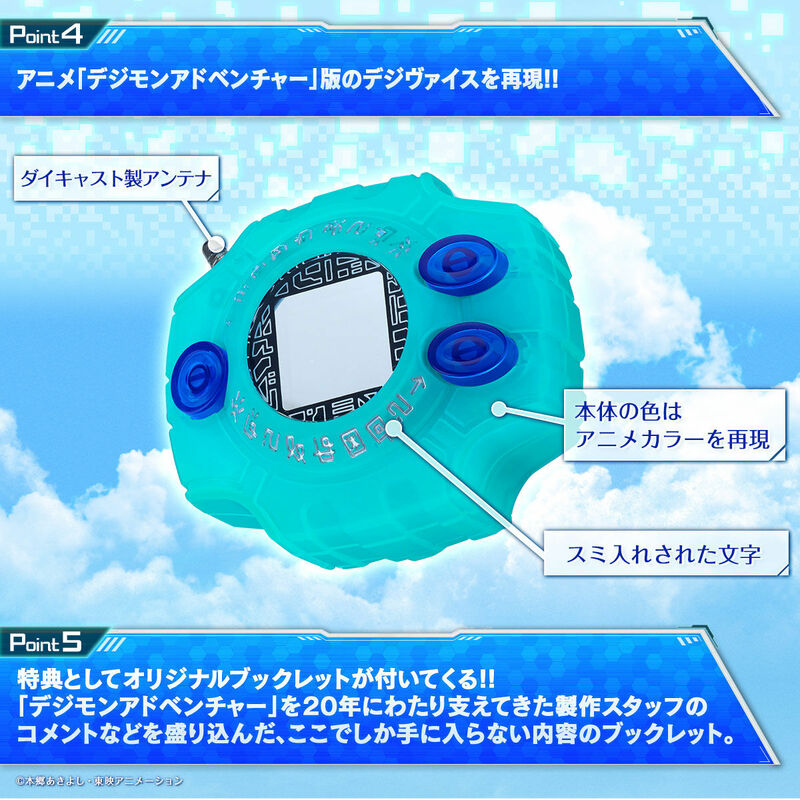 This time the CSA Digivice is meant to reproduce the look and style it had back in Digimon Adventure! "Let's go on the adventure of that summer again! A tribute to all Chosen Children." 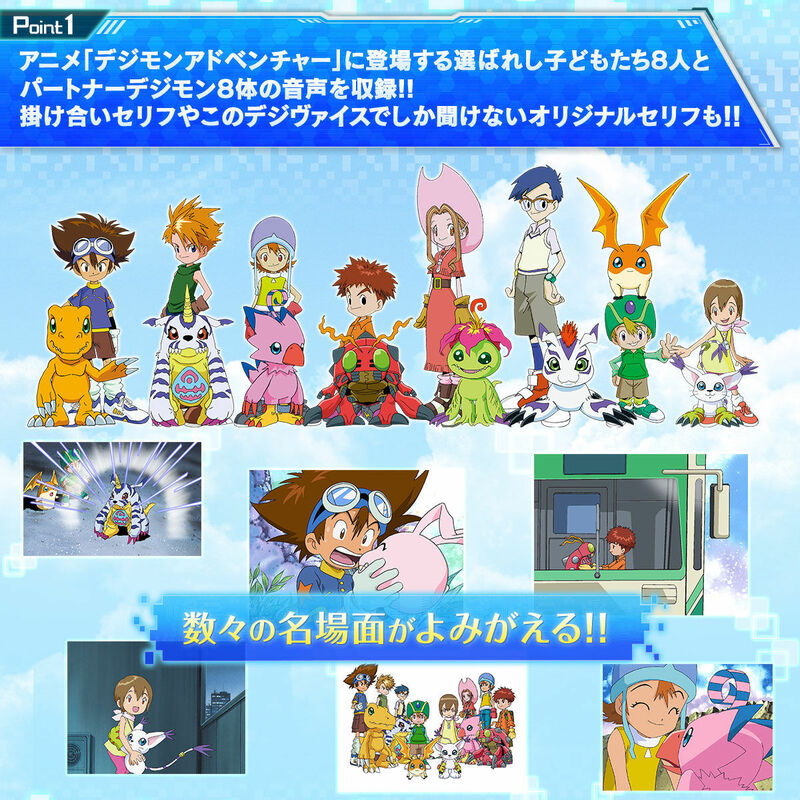 Recordings of the eight chosen children and the 8 partner digimon! Original lines which can only be heard with this digivice! Sora was not re-cast, Yuko Mizutani is still listed as her voice. Takeru will be Megumi Han, who took over the voice with the Adventure PSP game. 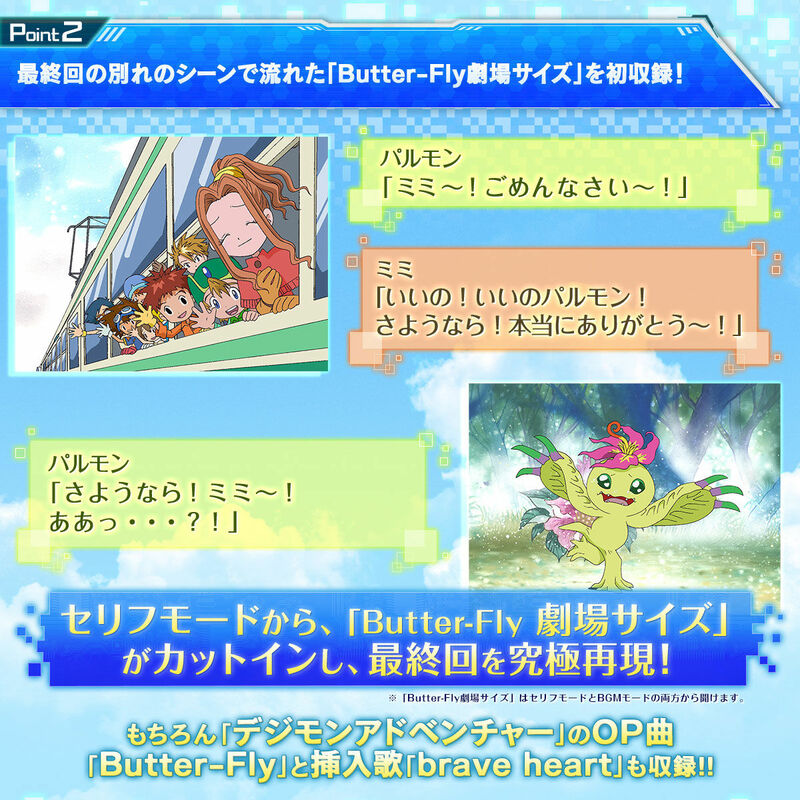 Butter-fly theater size will appear. They point out Butter-fly again, and Brave Heart. There is both a dialogue and a BGM mode. Evolution scenes revived! 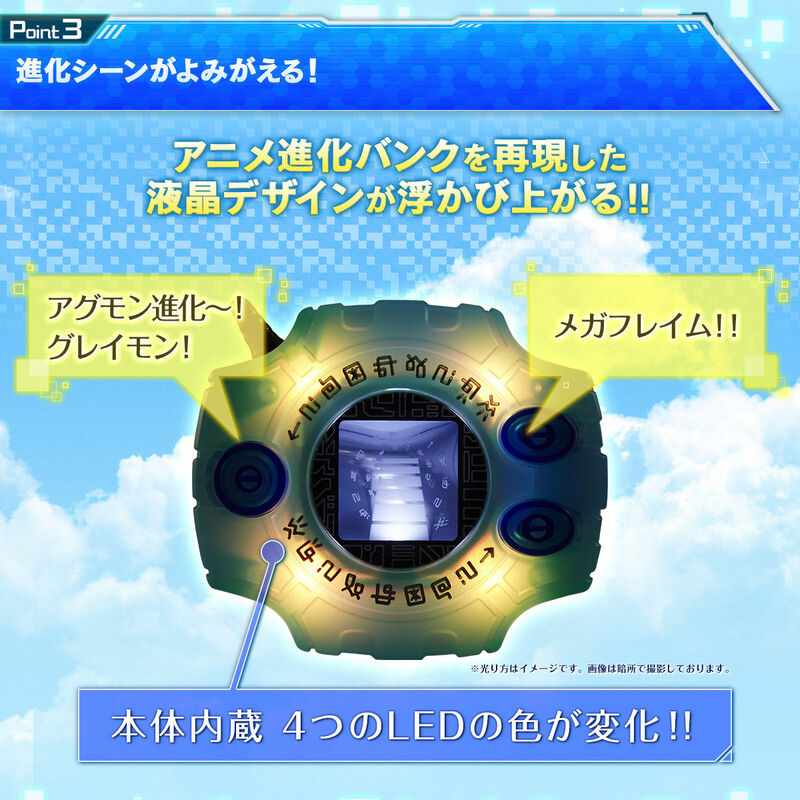 The lights will shine while the Digimon evolve, and various attack dialogue is also included. The background has a new design meant to evoke the evolution scenes from Digimon Adventure. 4 LEDs are placed in the proper location so the Digivice lights up. 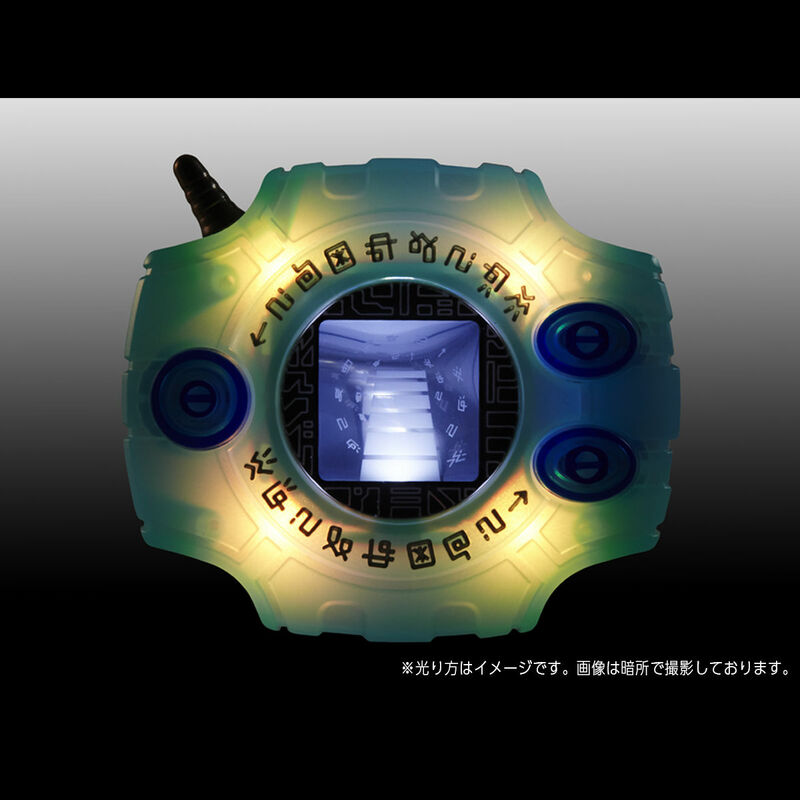 It reproduced the original Digimon Adventure Digivice. It has a die-cast antannae styled after the original anime. The body color is meant to reproduce how it looks in the original anime, and it includes the digimoji around the inner rim. There will be a booklet with exclusive content, including comments from the staff who have supported Digimon Adventure for 20 years and the history of the toys. Pre-orders for the CSA Digivice 1999 are open at Premium Bandai. It costs 8,640 yen. Pre-orders close on September 25th and will ship in January 2019. If you are going to buy the CSA Digivice 1999 be aware what it is before you order. It is a prop with lights and sound for fun. It is not an LCD V-Pet or adventure game. Awesome! They really need to branch out to other seasons though. All four are from adventure. 3 are the "same" device and the D3 actually didn't add too much to the original. Don't get me wrong they all look awesome and I've preordered the memorial and now the 1999. But I wouldn't mind an 02, tamers, or frontier. Right now my favorite is the applidrive. Oh! Now THIS is cool! Much better than the Merciful Mode version! Nice! I might grab this one. 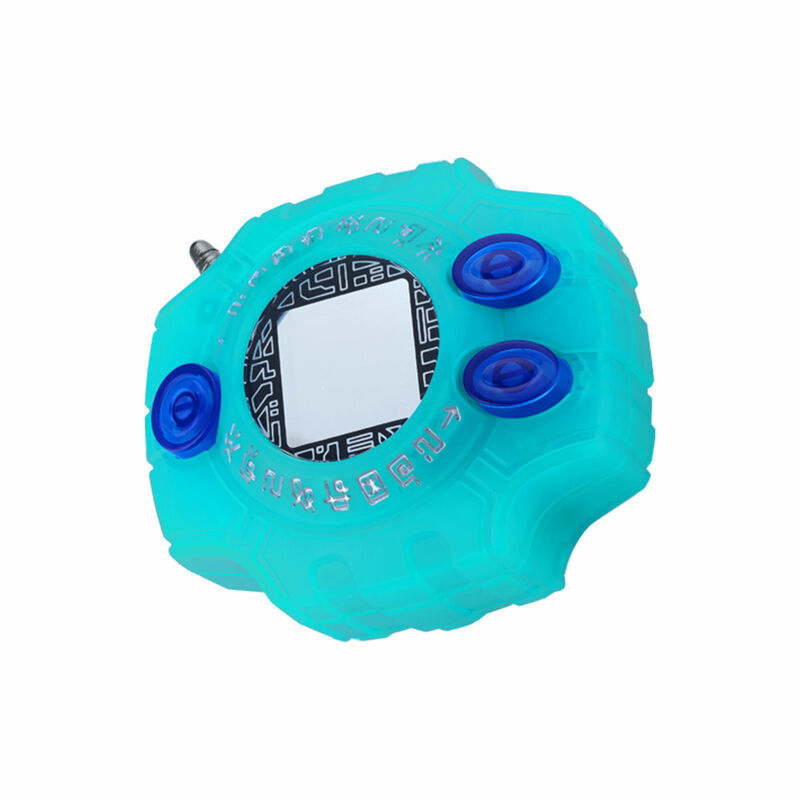 Or... Should I just wait for the inevitable CSA Digivice 1999 EXTRA version with one more second of music and a slightly altered hue of teal? That is pretty cool. ...How many of these do we have now?